If you know me, you know that Christian Louboutin is my favourite fashion house of all time. Of . All. GODDAM. Time. I fell in love with the red bottoms way before Cardi B made them a viral catchphrase in her runaway hit Bodak Yellow. And way before I even signed up for Instagram for the first time some wild years ago. These red bottoms are to me, what the wind is to the Ocean, what the rain is to Forests and what a Camera is to a Kardashian. 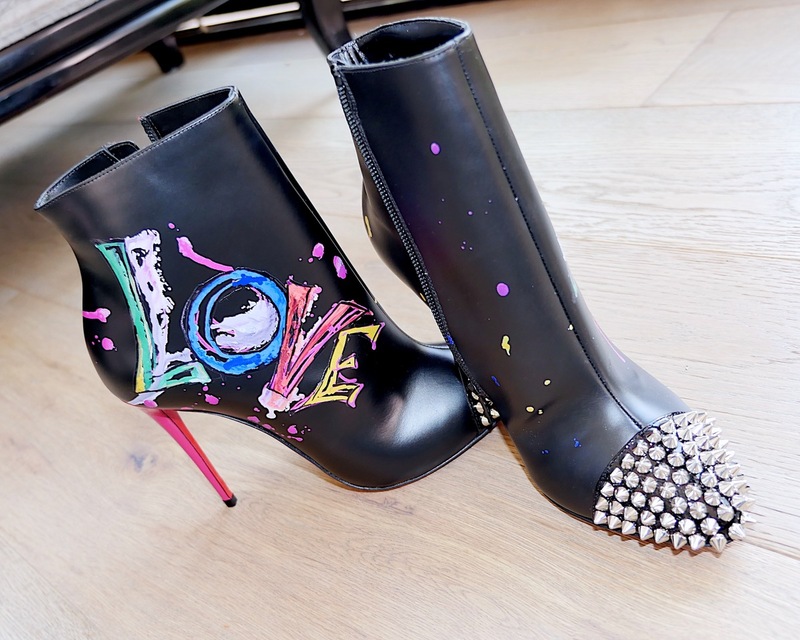 So is my adoration for this venerable shoe brand that Mr Christian Louboutin himself has become not just a close friend but has also personally crafted a customized shoe for me. Straight from his magical hands. I will be writing about it soon. Stay with me boys and girls. Just like a Cactus, I am ferocious and hot! Spiky from all angles and ready for any challenge.. On land and on water. It’s the warrior in me, soft enough to blow you away and dangerous enough to wreck a village. Don’t play with my spikes… Cus you might just get BURNED! Is it Love… Is it Love… Is it Love… That I am feeling? Yes, even girls like me, dressed extravagantly, smelling like a million bucks and strutting the floor like Cara Delevingne do listen to a little Reggae time after time. Especially if it’s Love. And yes, Bob Marley, I guess it’s Love that I feeling. Surround yourself with beauty, even when your soul is in a turmoil and your heart is a mess. And not just any beauty.. The shiny kind. The glittering kind. And if you can have some gold too, why not ? Some phone calls are better made with a smile. By yourself. Away from the noise. And at a corner of your home. Because not all phone calls are about business or being bothered. Some are intimate conversations that light up the soul and warm up the heart. Some people like to match clothes. Others like to match their belt and shoe. Others like to match their watch and blouse. And others like to bag their hang bag and shoes. But I haven’t seen anyone that could match a shoe with anther shoe… In form of a tattoo. Of that same shoe. Thug Life. Walk with a purpose even when you’re actually going nowhere. Because, with the right shoe in ya feet, you may actually look like you’re going somewhere. And with this particular one in ya feet, all gilded and pristine, you may actually look like you’re walking towards your destiny. Shoe: Christian Louboutin follies in milk while. Forgetting to follow your favourite girl all day everyday is a cardinal sin.